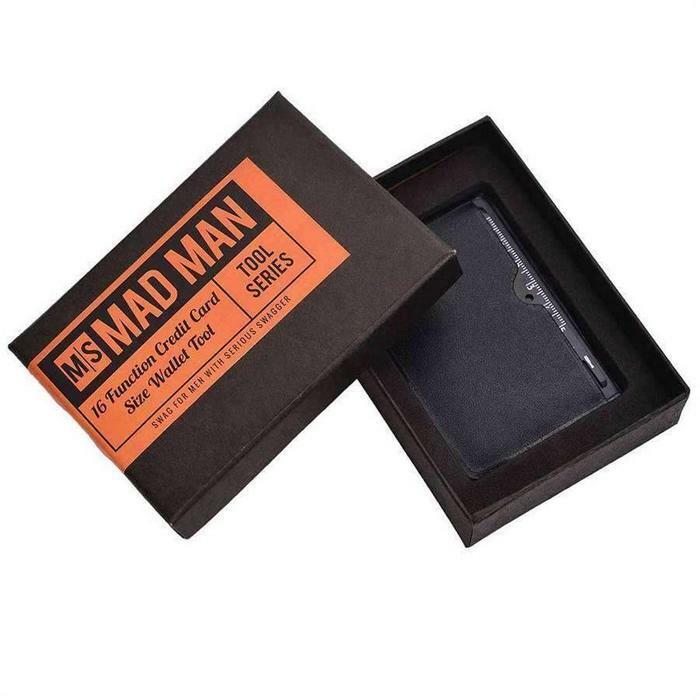 16 Function Credit Card Size Wallet Tool Mad Man's survival kit is great for the guy who loves gadgets. Loaded with 20 functional tools knife, screwdriver, scissors. 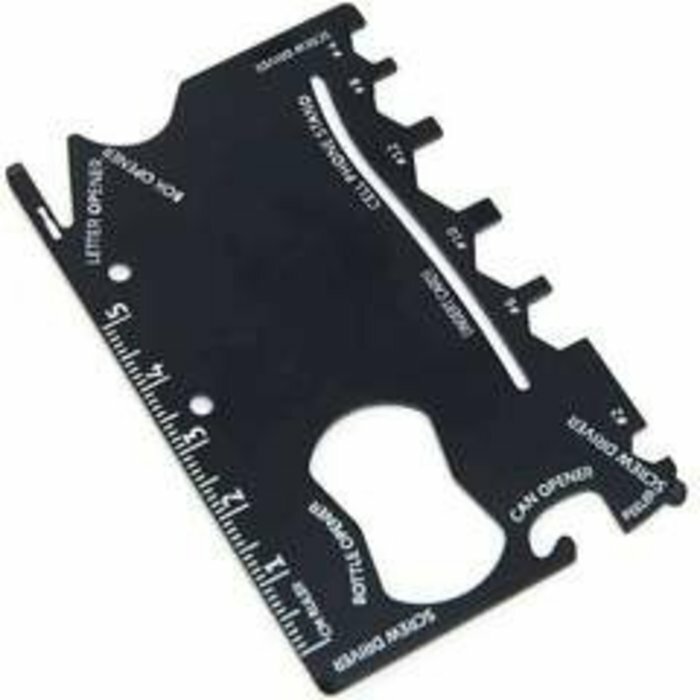 knife, screwdriver, scissors etc.